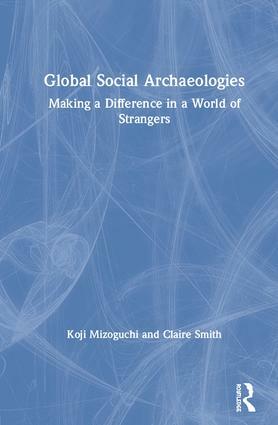 Global Social Archaeologies contributes to the active engagement of contemporary social archaeology with issues of postcolonialism, community heritage, and indigenous rights and the major challenge that it faces in breaking down global divides, especially in relation to fundamental human rights, inequality and inequities of wealth, power, and access to knowledge. This authoritative volume, authored by current and past presidents of the World Archaeological Congress, introduces readers to the various theoretical and methodological tools available for the investigation of the past with their implications for contemporary societies, offering a new framework for social archaeologies in a globalized world. By combining new data from their research with an innovative synthesis and analysis of leading research by others, the authors have developed fresh conceptualizations and understandings of archaeology as a social practice, and of the ways in which it simultaneously straddles the past, present and future. Exploring a range of case studies and enhanced by a wealth of illustrations, Global Social Archaeologies highlights a new approach to archaeology, one that places human rights at the core of archaeological theory and practice. Claire Smith is Professor of Archaeology at Flinders University, Australia and the immediate past president of the World Archaeological Congress. Koji Mizoguchi is Professor of Archaeology at Kyushu University, Japan and the current president of the World Archaeological Congress.